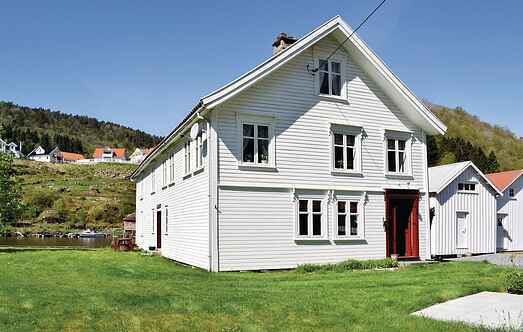 Find a vacation home to rent in Kvinesdal from our list of vacation rental properties. Campaya has over 11 vacation homes available in Kvinesdal, which give you the possibility to locate a unique accommodation in Kvinesdal which completes your check-list in search for the perfect self catering vacation apartments in Kvinesdal or vacation villas in Kvinesdal. On a large and beautiful grounds with its own shoreline, you will find this beautiful, bright house. Come and stay at this fantastically well-equipped holiday home. The property has many special features, including a lovely view of the mountains and a lake. This attractive holiday home can be found uniquely situated right by its own little lake. Spacious vacation home close to Krågelandsvatnet. Great view of the mountains and water. There is good fishing and swimming possibilities only 200 meters from the house. 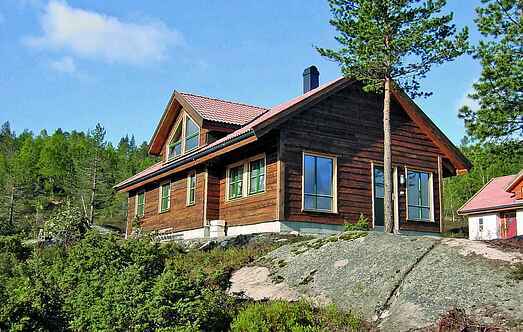 This cosy cottage is located in a quiet woodland, north of Kvinesdal. The region has many good hiking areas, fishing waters and abundant wildlife. Cosy cottage with a garden and a view of Opoftevannet lake. Lots of wildlife in the area, mushrooms and berry picking. Fishing in the lake for eels and trout. Outdoor smoking oven. This lovely cottage is situated high in the mountains, but is still only an hour's drive away from the coast. Welcome to this charming and secluded holiday home. From the house you have a wonderful view over the river that runs close by and the mountains in the area. This beautiful holiday home has a lovely view over water and mountains. It has good fishing and swimming opportunities close to the house. Holiday home near the former mining town of Knaben. The bright and cosy furnishings make a perfect setting for a holiday in magnificent scenery.